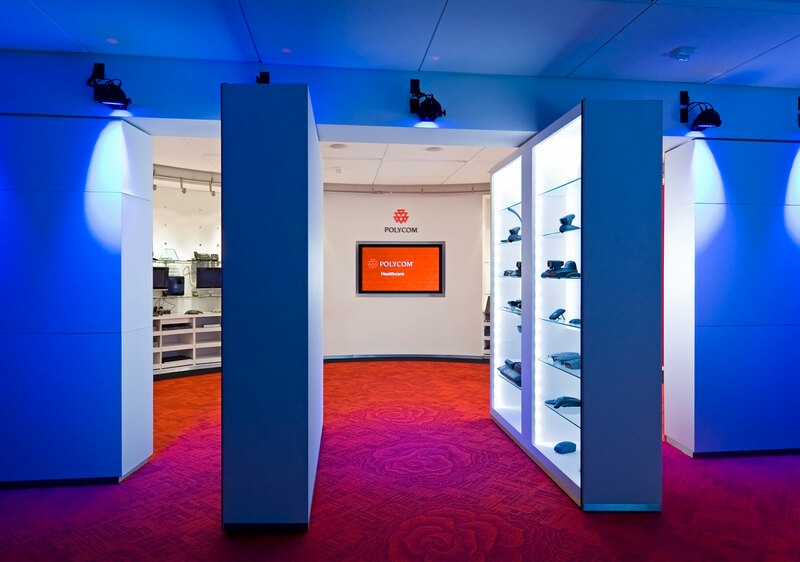 This 12,000 SF Executive Briefing Center at Techmart features multiple televideo conference rooms, a video garden, a product showcase area with rotating walls, the “Office of the Future”, lounge area and coffee bar, and administrative support offices. 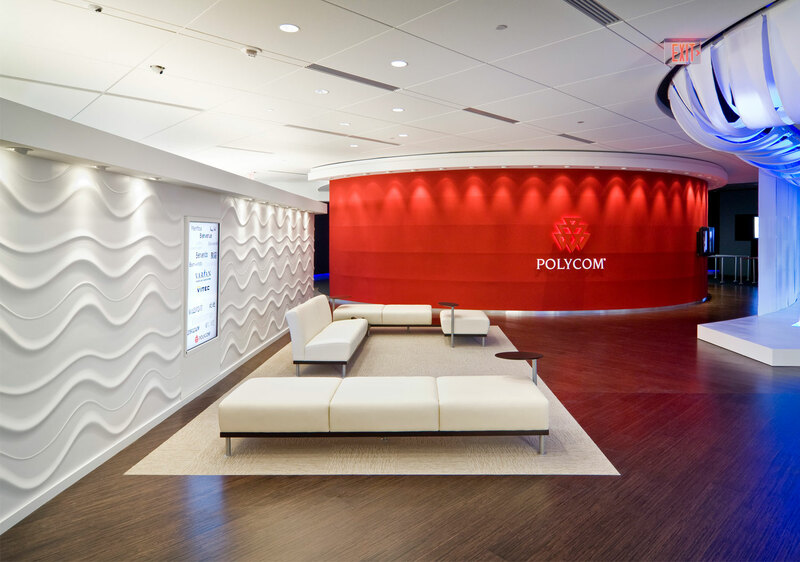 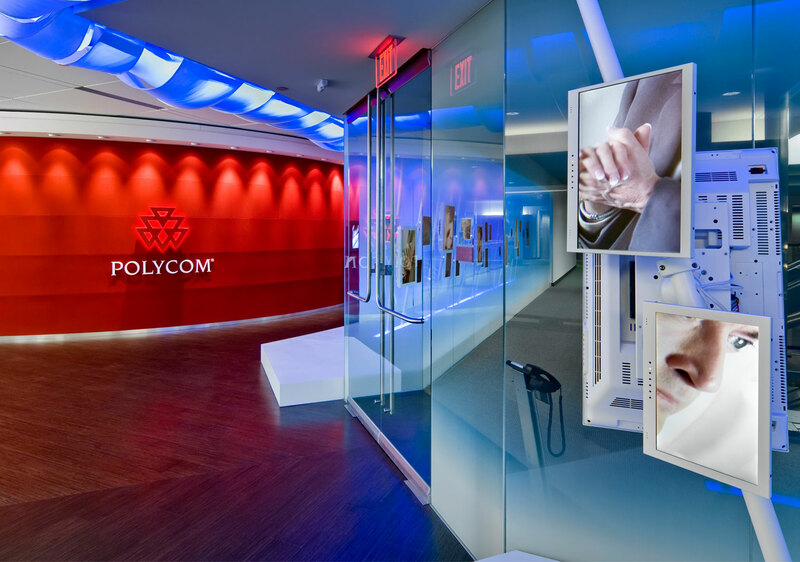 The Polycom EBC is also used to host special events and monthly meetings for the Silicon Valley Leadership Group. 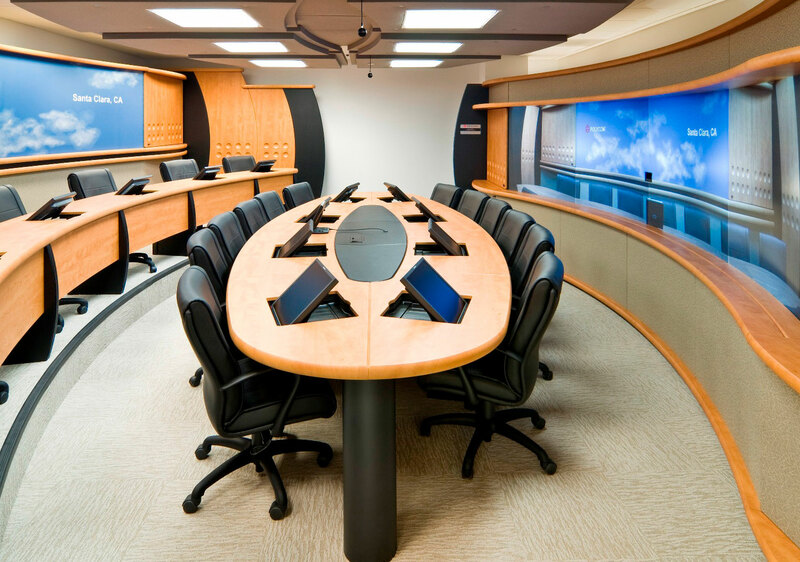 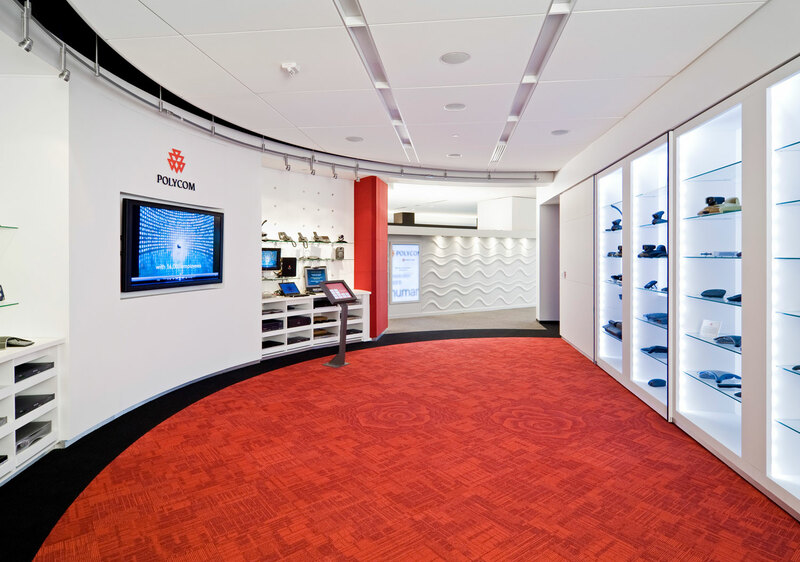 This project was awarded the Association of Briefing Program Managers 2009 Executive Briefing Center World Class Award.